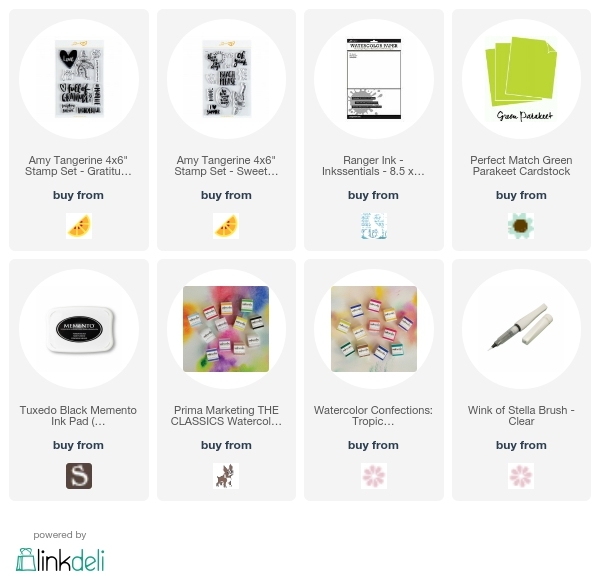 Secretbees Studio: Full Of Gratitude! Hi everyone! Summer is in full swing! 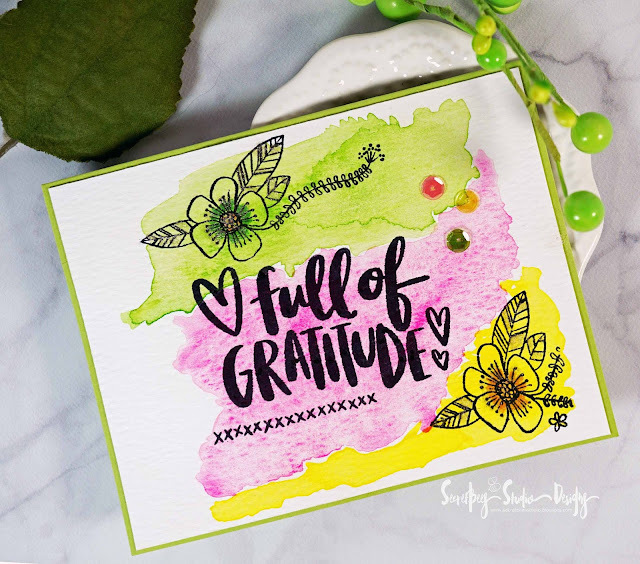 Hot sunny days, flowers are blooming- it is my most favorite time of year and I am so thankful it rolls around every year! This pretty little card pretty much sums up how I feel about Summer! 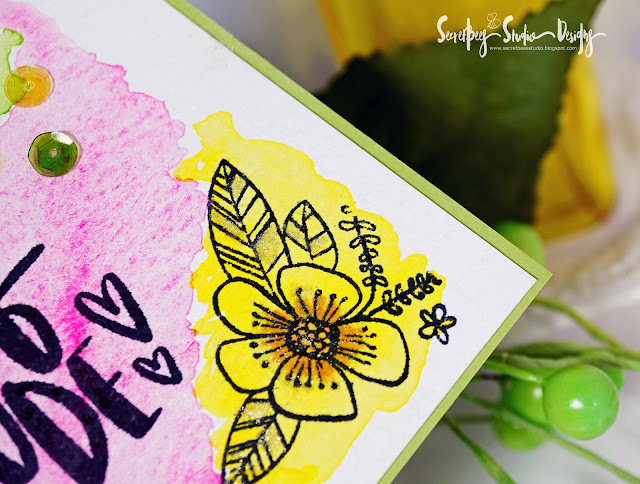 These tropical flower stamps from Amy Tangerine are so simple yet have great details and are super sweet! Plus I love her chunky handwriting- it looks so good with these sentiments! 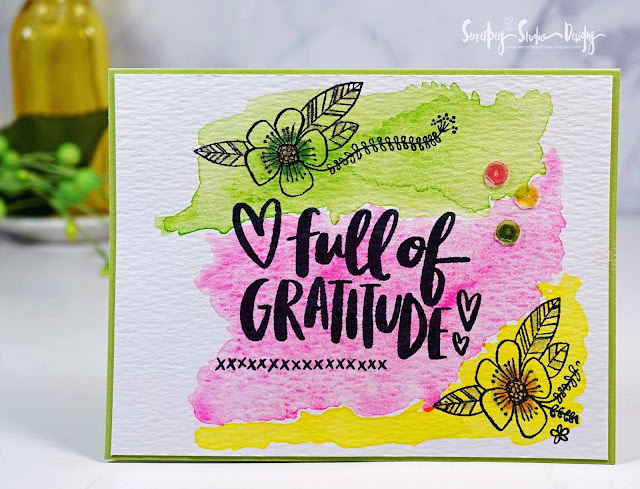 I watercolored the background in a trio of summery colors so that the detail and sentiment would really stand out when stamped in black! Once I had all of the images stamped, I added in some extra color detail to the center of the flowers with Copic markers. For shine ( which is super hard for me to resist, LOL) I gave the flowers and leaves a bit of shimmer with Wink of Stella in clear and then added a cute trio of colorful sequins as well!